Equipped with the latest in education, tools and technique, our Personal Trainers implement training programs that adapt to the body. 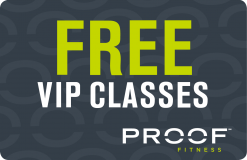 Personal Training at Proof Fitness comes in understanding the form and function of your body, and how will empower you to reach goals you never thought possible. That is Train Proof. Our personal trainers are ready to inspire, and based on your needs, we will connect you with the right trainer to motivate you, build a relationship with you and help you achieve your long-term goals to get life-changing results. 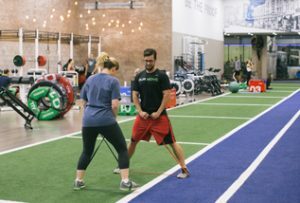 The one-on-one personal training experience has proven, time and again, to be one of the most successful ways to improve a person’s health and overall well-being. And at Proof Fitness, our fully qualified personal training staff makes it their priority to assist members to reach individual goals they might not be able to achieve on their own. From preparing for a first marathon, to preparing for a wedding, or making a complete lifestyle change, our personal trainers are here to help. Following a detailed consultation, our fitness professionals will create a custom-designed workout program that’s all about you, your needs and any special issues you want to address.